Be sure to vent your seed trays once shoots emerge or disease may kill your new plants fast. 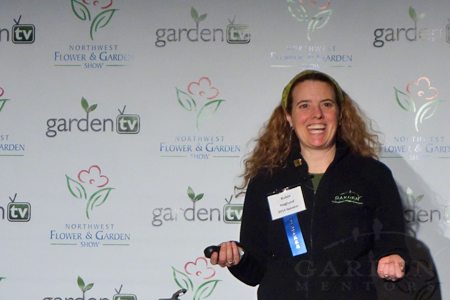 The NW Flower and Garden Show has invited Garden Mentors founder Robin to return as a featured seminar speaker. And, yes, we’re thrilled to be invited back to the very royal court of elite horties! 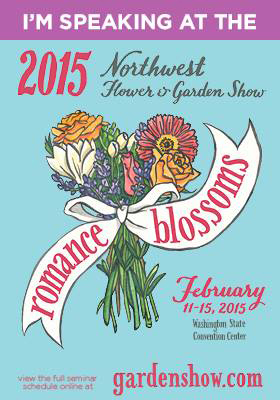 Remember: there’s no additional charge to attend the NWFGS seminars. So, get your tickets asap. You’ll save a few bucks if you purchase before the show opens. Get the full description of Robin’s talks and buy your tickets here. Can’t wait to hear more fun information from you!